We know the Great Otway National Park in Victoria pretty well. 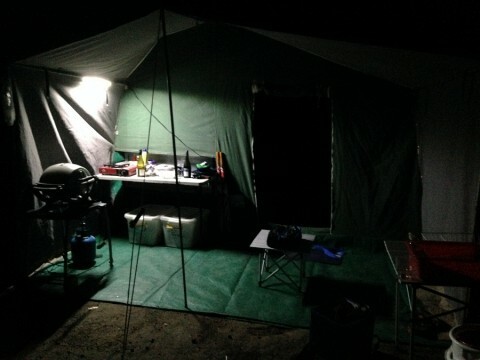 Having bushwalked, camped and hiked in the area for 30 years or so it is like our second home. It is a terrific escape when we want to “go bush”. Just 2hrs drive from home, we can be set up camp in no time and relax in the bush right next to the roaring ocean of Bass Strait. Recently we took a mid week escape and headed to Blanket Bay for a couple of nights. The weather forecast was terrible, rain, wind and cool temperatures but this trip had been planned for weeks so nothing was going to stop us. It was school holidays in Victoria and we were concerned the 23 sites may be full. To our great surprise there were plenty of options. Maybe the weather forecast put people off. 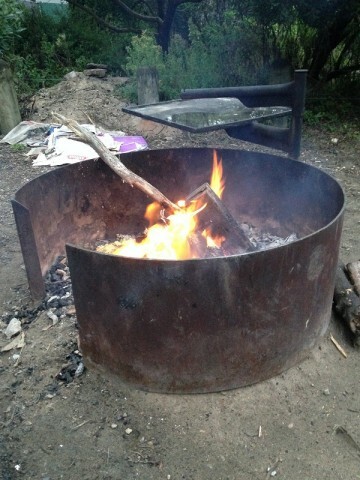 One reason we love Blanket Bay is the option to have an open fire. There are three designated fire pits, fantastic for sitting around in the evening catching up with friends, old and new. You cannot collect firewood as Blanket bay is in a National Park. We always take our own supply of firewood and never collect fallen timber from the area. Fireplace at Blanket Bay – take your own wood! We have been modifying our new camper trailer to become more self sufficient. This was the first trip with a set of 120w solar panels. Even with cloudy weather they charged up the battery in the camper. It was not all sitting around the fire and sleeping. 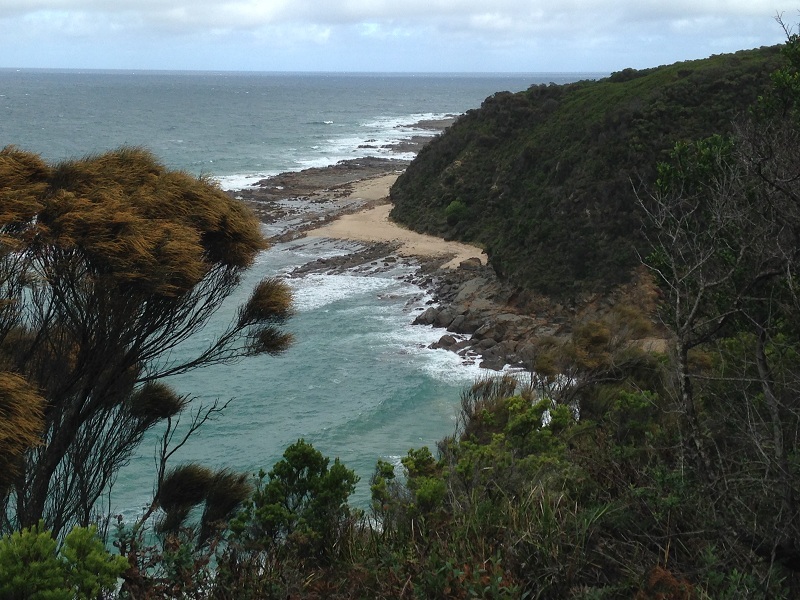 There is a nice section of the Great Ocean Walk between Blanket Bay and Parker Inlet that meanders through some classic Otway National Park. We don’t usually walk right down to the Parker Inlet. It is a terrific isolated beach but the climb back up is steep! So that’s it. A quick rundown of our escape to Blanket Bay. And the weather? Terrific, cloudy but minimal rain. Just how we like it. Lots of snoozing, walking, great food and an open fire. 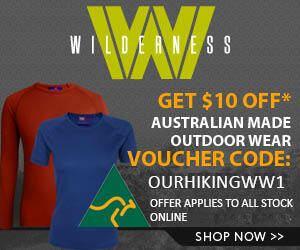 Do you have a special place to escape on a bushwalking or camping trip? Shoot us a message in the comments, we would love to hear from you. I have seen lots of wildlife in the Blanket Bay area too. My favourite camp spot involves a hike & carrying your gear. 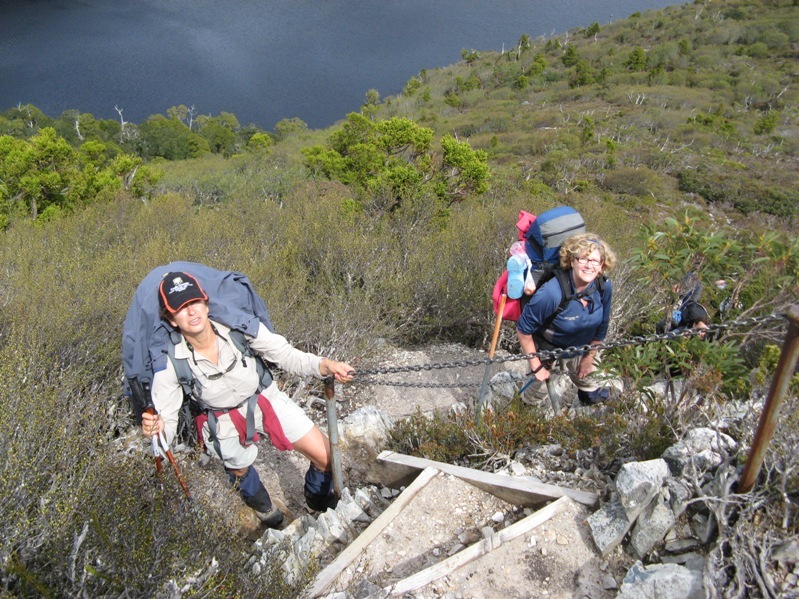 Walls of Jerusalem National Park is my pick. It is a hard up hill slog the first 2 hours but so worth it! 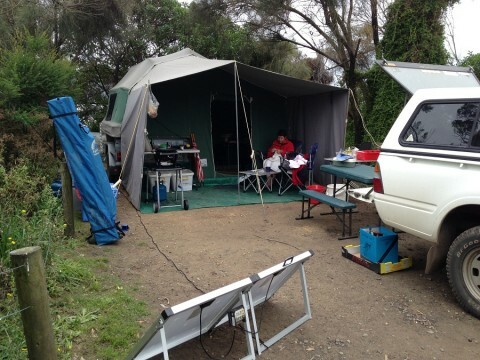 We had a great time in otways last year. A pretty special spot. Spent time at gellibrand (otways campground), so focused on hills area. Mambray creek in SA is our pick for top spot at home. 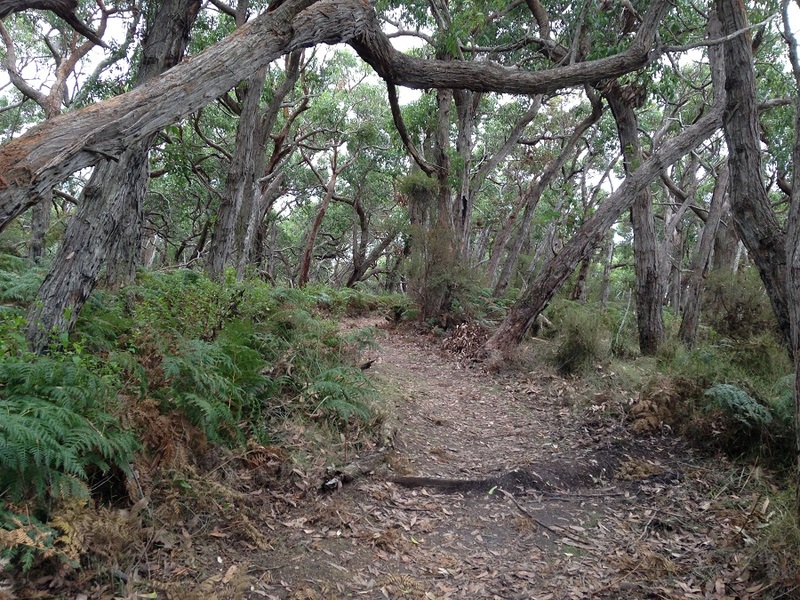 Mt Remarkable NP has many great hikes. Was tough on the kids, but our loop through hidden gorge from mambray creek was spectacular. We will be going again soon. Nice camper trailer, Frank. Got some more details about it, for those of us who about to embark on buying one? Hmmm – I love anywhere on the OT first and foremost, but for bushwalking, many of the connecting trails in the Great Walks system on Queensland’s Sunshine Coast are great, including Kondalilla to Baroon Pocket. Cooloolah National Park has lovely beachy walks and camping, and Girraween NP on the Granite Belt has clambering rocky ones. So many great walks and camping spots, we are spoilt for choice – and National Parks.